During the last week of October, Natalia and I had the opportunity to explore, with the kayaks, the Auyama River mouth. Where the Auyama River pours it´s water into the Chiriqui Lagoon. Jay was going fishing with a guest in the area, there was space for the kayaks, so we got some water, our cameras in a backpack, and we were ready to go. The boat ride was beautiful, the sun was helping to bring all the colors up, the breeze and the excitement to discover a new place, all were drawing a smile to our faces. 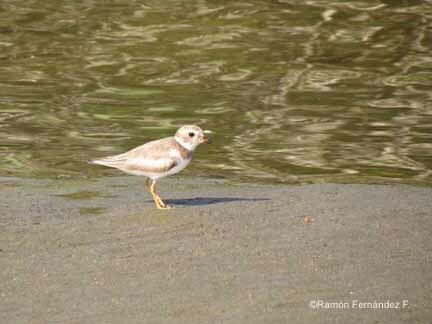 When we got there, the tide was rising but it was still very low so we had to find our way over a sand bar, between dozens of logs covered in Neotropic Cormorants and some shorebirds like Ruddy Turnstones, Semi-palmeated Plover and sandpipers. Flying around we could see some Brown Pelicans and Royal Terns while we were getting into the river itself. Once we got into the river, both sides were covered in Black Mangrove at the entrance and on the first hundred meters. Vegetation grew thicker as we were going up the river, and after enjoying a pair of Pied Puffbird, we heard an unknown sound so we stopped our kayaks and waited. 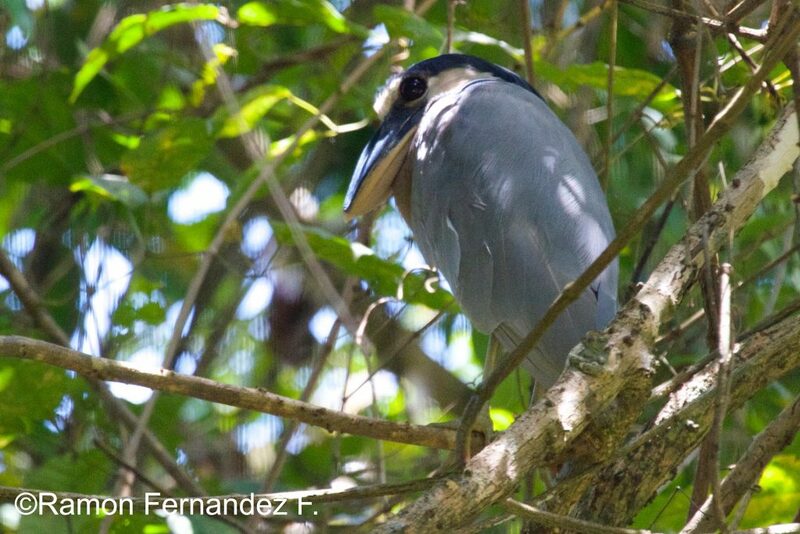 Just a few seconds after we began alert mode, a Boat-billed Heron flew from one side of the river to the other perching in a thick clump of branches and leaves. It was time to start heading back to the boat, so we left it resting on it´s perch, and we headed out. It felt like we needed more time to discover the wonders that the Auyama River holds, but for an introductory trip … we could not complain. It was a wonderful morning surrounded by interesting birds in beautiful scenery. 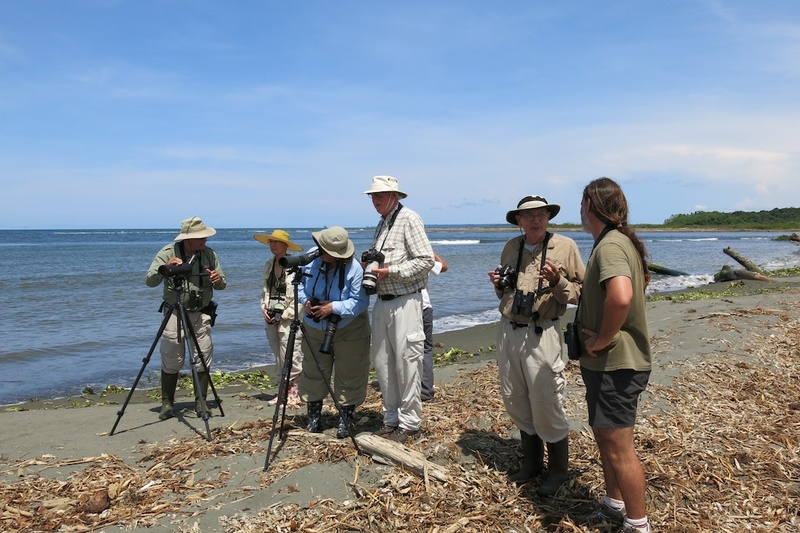 While bird watching in Panama, just a few weeks ago, we took a group to the mouth of the Chanquinola River, where we often go birding for shorebirds. What happened was one of those days I could never forget, my best day ever for this particular location. 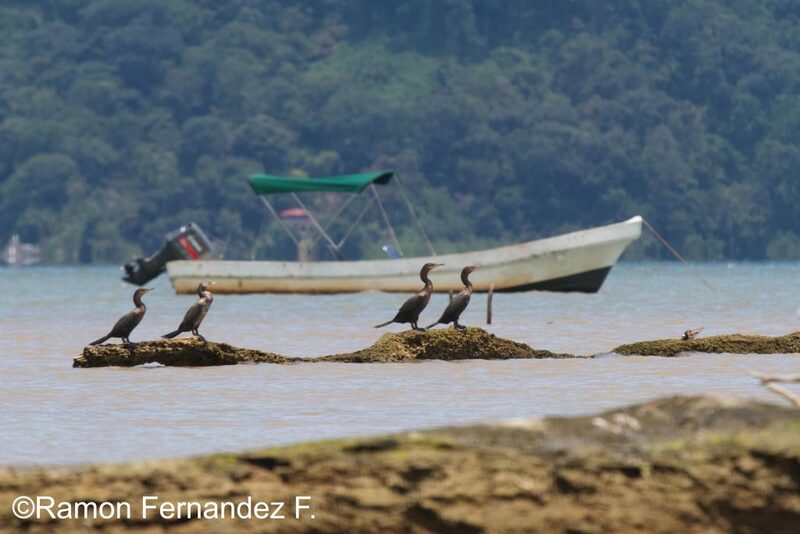 Our good friend Jeri M. Langham leads “Bocas del Toro Archipelago” in the spring and fall for Victor Emanuel Nature Tours or VENT, and his fall 2013 participants were treated to many incredible sights in many different habitats. I am sure their experience on this particular day was a highlight for many. As we left the Soropta Canal and entered the river, it was clear that this was no usual day. Birds were everywhere flying, swimming and scurrying on the shore. The river was a little low and running clean, without too much current. In the center of the river a shallow bar had formed setting up a timber and grass matt which was the perfect habitat for many species to congregate. 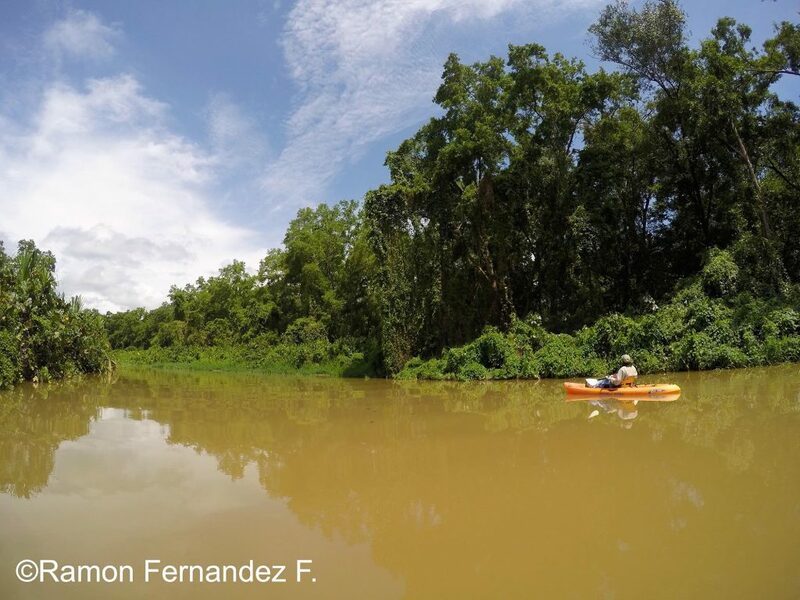 We enjoyed beautiful looks at Black-bellied Whistling Ducks, Blue-winged Teal, five species of herons/egrets, and best of all, one of the participants spotted a Wilson’s Phalarope, a species not shown on the field guide maps to occur in this area of Panama. He even got great picture of it, don’t you just love good evidence. After a short lunch, while floating in the river being buzzed by a Ringed Kingfisher, we got out on the beach to walk the shoreline. We brought our scopes, but we didn’t need them, the black sand beach seemed to be moving there were so many shorebirds. Just in front of us there were dozens of Ruddy Turnstones, Black-necked Stilts, Black-bellied Plovers and Sanderlings. Collared Plover was a standout, but we also had Semipalmated and Wilson’s plovers. Across the cut we saw large flocks of Brown Pelicans and Terns diving on a rip line, so we decided to cross the river and check the action on the other side. What we found was a complete shorebird blowout. There was some kind of very small krill being washed up on the shore and dispersed in the beached sea grasses. All the birds were going crazy with the little morsels. As we walked down the shore, the birds were constantly welling up in a swarm 30-feet in front us and then falling just behind, seeming more inconvenienced than concerned. In addition to the shorebirds mentioned, we were able to walk up to Least, Semipalmated, Spotted and Western sandpipers, Sanderlings, Lesser and Greater yellowlegs, and many Short-billed Dowitchers. 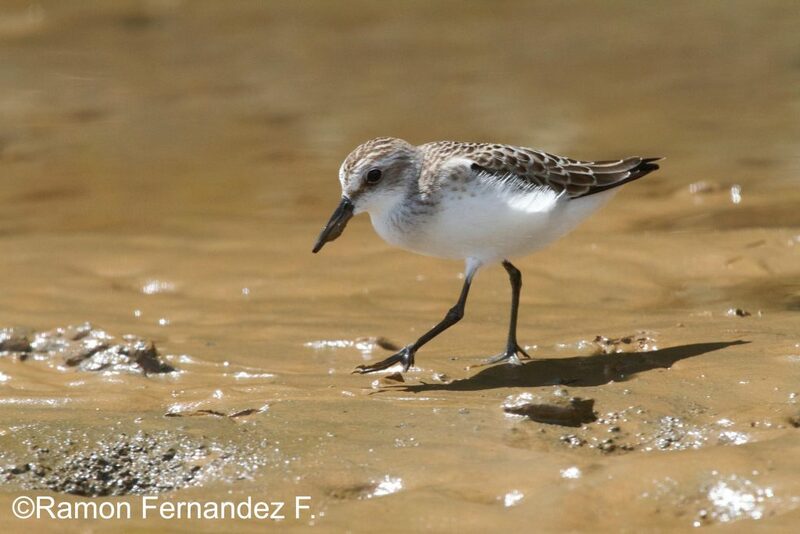 One participant found and photographed a Pectoral Sandpiper (also not shown to occur in this area). We also enjoyed walk-away scope views of dozens of Lesser Nighthawks perched on logs and we identified Laughing and Franklin’s gulls along with Gull-billed, Black, Sandwich and Royal terns. 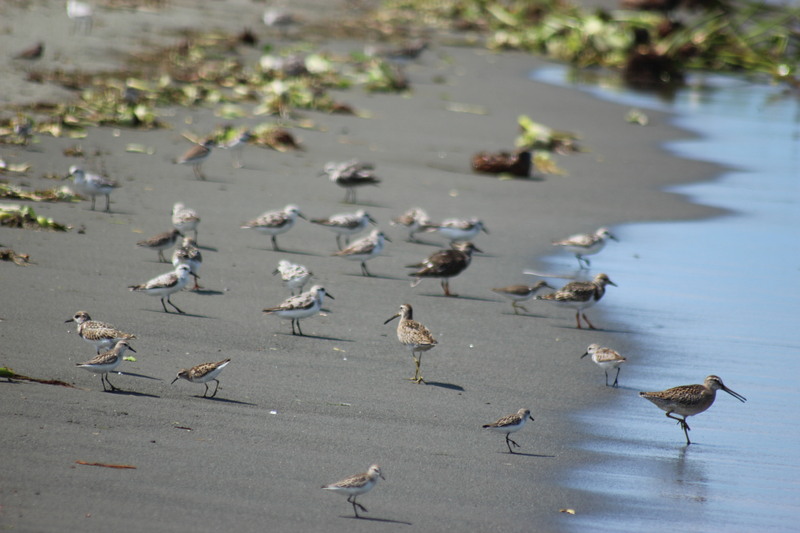 There were also Whimbrels and lots of Willets, “simply a shorebird extravaganza,” as Jeri put it. To top it all off, as we left the river mouth and went offshore, we found a Red-billed Tropicbird swimming in the Caribbean. I have seen many unbelievable things in nature and often recall those special moments when needed. Sometimes all you need to remember of your time in the field is that one special thing, large aggregations of the same species, the outlandish number of species that you saw or just that one bird that didn’t read the field guide. It’s not often you get volume, variety and vagrants all at the same time, but if you ever do, I’m sure it won’t be soon forgotten. The conditions couldn’t have been better for my best day ever of shore birding in Panama. Shorebirds covered the beach gorging on some small washed up form of krill. Photo by Jennifer Green. 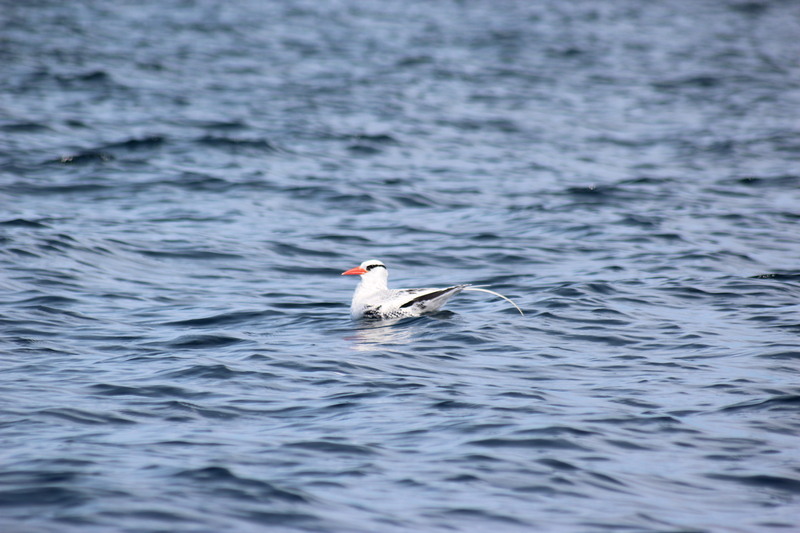 Lone Red-billed tropic bird taking a swim in the Caribbean, Bocas del Toro, Panama. The first of many we saw later that day, but that is another story. Photo by Jennifer Green.